The rich history of the Texas Trial Lawyers Association is documented in the Association’s meeting records, listing of leaders, and other TTLA records. 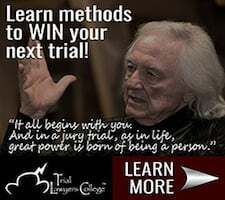 What we are in danger of losing are the personal recollections about the founders and pioneers who are no longer with us by trial lawyers who knew them well – the traits and characteristics that made them the trial lawyers on whose shoulders the TTLA members of today stand. The TTLA Pioneer Series will help fill that void..
See profiles of Warren Burnett, R. Guy Carter, Maury Maverick, Sr., Shirley Maxwell Helm & Albert Pearson Jones, Bob Huff, an addendum to the Shirley Maxwell Helm & Albert Pearson Jones installment, W. James Kronzer, Jr., Judge Joe Fisher, Ward Stephenson, Joe Tonahill, and Gilbert Adams, Sr., Joe Tonahill and Frank Abraham. Editors note by Willie Chapman: We are pleased to share an amazing and heartwarming story with you. TTLA Founding Member Frank Abraham served in the Army during World War II. As his unit advanced in the European theatre Frank liberated his brother from a German prisoner of war camp. Frank recounted this experience during a veterans’ event in Houston years ago. Thanks to TTLA Board member Daniel Horowitz for finding a video of Frank’s story and sharing it with TTLA. Watch here. Learn more about Frank Abraham's life and legal career here. 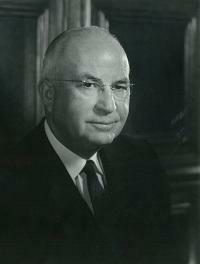 Editor's note by Willie Chapman: TTLA Founder Joe Tonahill (d. 2001) was a leader in organizing the July 1, 1949, meeting that resulted in the formation of the Plaintiffs Attorneys Association of Texas, the predecessor to the Texas Trial Lawyers Association and was elected as the Third President in 1951. 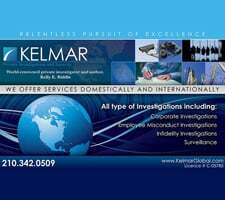 He was also a founding member of the International Academy of Trial Lawyers. This video is Tonahill's Keynote Address at TTLA’s 50th Anniversary Annual Meeting in 1999 with an outstanding and memorable introduction by TTLA Past President George Chandler. From his law office in Jasper he gained nationwide respect and recognition for his skill and success as a trial lawyer. Joe was the recipient of the 1994 Champion of Justice Award by the Association of Trial Lawyers of America (now the America Association for Justice). This video was used in Joe’s introduction. It provides a chronicle of Joe’s life and career as seen by his peers. Joe Tonahill in his law office. Judge Joe Fisher, Ward Stephenson, Joe Tonahill and Gilbert Adams, Sr., written by Robert J. Robertson and the late Robert Q. Keith. Editor's Note by Willie Chapman: Four Founding members of TTLA all figure prominently in this excellent article from the Journal of the Texas Supreme Court Historical Society Summer 2016 Edition – Judge Joe Fisher, Ward Stephenson, Joe Tonahill and Gilbert Adams, Sr. Authors Robert J. Robertson and Robert Q. Keith (now deceased) chronicle the background and ramifications of the landmark Borel v Fibreboard decision published by the Fifth Circuit on September 10, 1973. Thanks to the Journal of the Texas Supreme Court Historical Society for permission to share this article with the TTLA membership. Access here. Editor’s Note by Willie Chapman: Thanks to Nick Nichols, a TTLA Pioneer in his own right, for preparing this profile of his mentor, law partner and dear friend TTLA Founding Member W. James Kronzer, Jr. Nick Nichols joined the firm Hill, Brown, Kronzer and Abraham as a young associate over fifty years ago. The firm continues today as Abraham, Watkins, Nichols, Sorrels, Agosto & Aziz. Learn more here. Editor's Note by Willie Chapman: Many thanks to TTLA Past President David Burrow for this addendum to his earlier work profiling TTLA Founders Shirley Helm and Albert Jones. Starting with a 2008 article on the first woman juror in Texas, David took on the task of tracking down the case file, getting additional insights from Judge Mark Davidson, and providing his perspectives on the thinking of the plaintiff’s lawyer in the case – David’s mentor and law partner, TTLA Founder Shirley Helm. 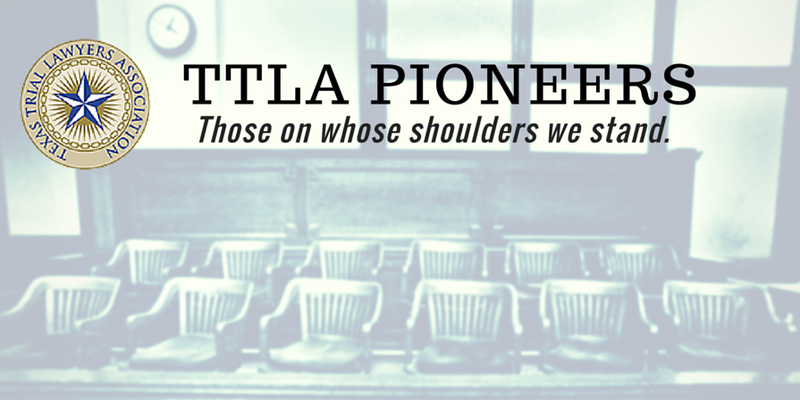 This addendum is a valuable addition to both the TTLA Pioneer series and Texas legal history. Learn more here. Thanks to TTLA Past President Broadus Spivey for submitting a profile of TTLA Founding Member Bob Huff. After spending two years in the Lubbock County Attorney’s office and another year as a solo practitioner Broadus joined the law firm of Bob Huff and Forrest Bowers in 1965. 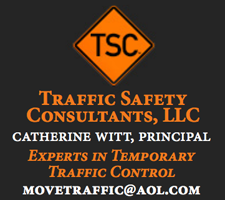 The firm consisted of Huff, Bowers, Spivey and Bob Gauss, whose brother Phil became the Executive Director of TTLA from 1967 until his passing in 1987. Broadus spent five years with the firm and many years of friendship with Bob Huff. In Bob Huff, Broadus found a mentor who was a world class courtroom lawyer and a man whose work ethic and negotiating skills set a high standard for those who worked with and for him. 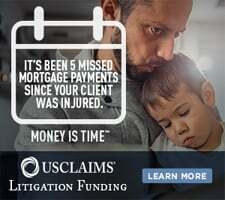 As Broadus told me, “I knew when I got to the office on Monday morning that Bob would have picked up the mail Saturday and read every case, both civil and criminal, in the Southwest reporter looking for anything relative to the plaintiffs’ practice.” Click here to access. Editor's Note: David Burrow served as TTLA President in the 1985-1986 term. In addition to his long service as a TTLA leader, David was also the first Texan to serve as National President of the American Board of Trial Advocates when he was elected to that position for the 1989-1990 term. His recollections of working for and with TTLA Founding Members Shirley Helm and Albert P. Jones are a wonderful addition to the TTLA Pioneer Series. Thank you, David. 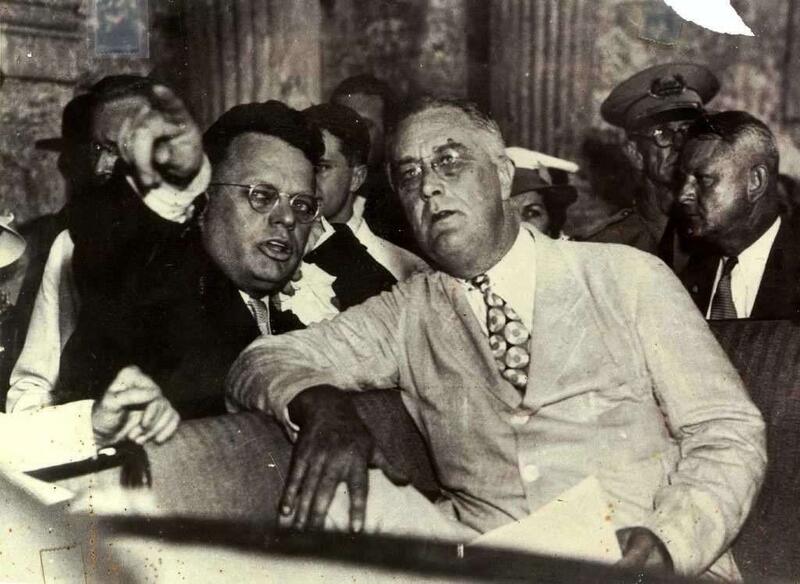 with two other pioneering Texas plaintiffs’ lawyers, the twin brothers Harold D.
Maury Maverick, Sr. makes a point to his friend President Franklin D. Roosevelt. 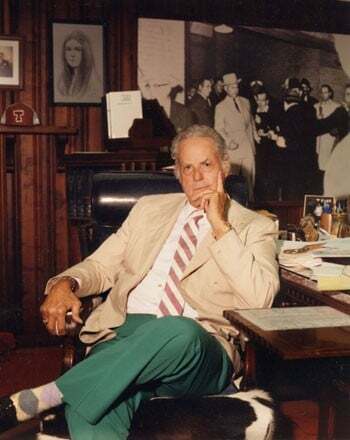 R. Guy Carter: TTLA member Ralph Red Dog Jones' recollections of Dallas attorney R. Guy Carter, TTLA’s first President and, later, Red Dog’s law partner. Editor’s note: Red Dog’s recounting of a discussion that took place on a train after an argument before the Fifth Circuit in New Orleans was new found history to this editor. The conversation between Guy Carter and others centered on the need for a plaintiffs’ lawyers association which led to a meeting at the Texas Hotel in Fort Worth on July 1, 1949. This meeting, with San Antonio lawyer Maury Maverick, Sr. presiding, elected Guy Carter as the first President of the Plaintiffs Attorneys Association of Texas. Included in Red Dog's recollection is a 1935 memo Guy Carter received when he was a young associate at a Dallas defense firm. Click here to access. Warren Burnett: Past President Guy Choate’s recollection of his encounter with one of the true giants of the Texas trial bar. 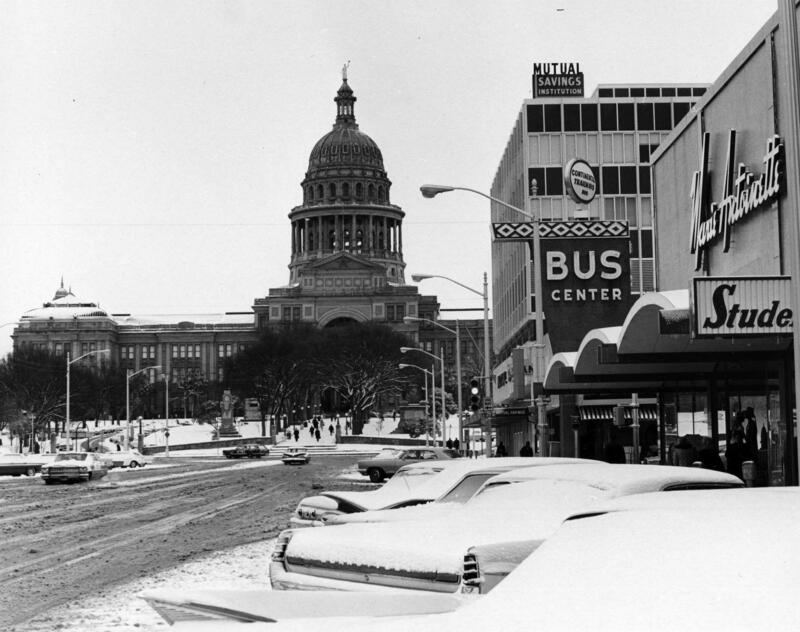 Editor’s note: Warren Burnett cut a wide swath in the Texas legal world. And he did it from a practice started in Odessa after serving two terms as District Attorney, to which he was elected at the age of 25. Among the TTLA members who practiced with Burnett in their early careers and have gone on to make their own mark in the profession are Frank Herrera, Jr., Phil Hardberger and Richard Mithoff. Warren Burnett’s passing in 2002 was noted in the New York Times, the LA Times and newspapers and magazines across Texas. Click here to access. 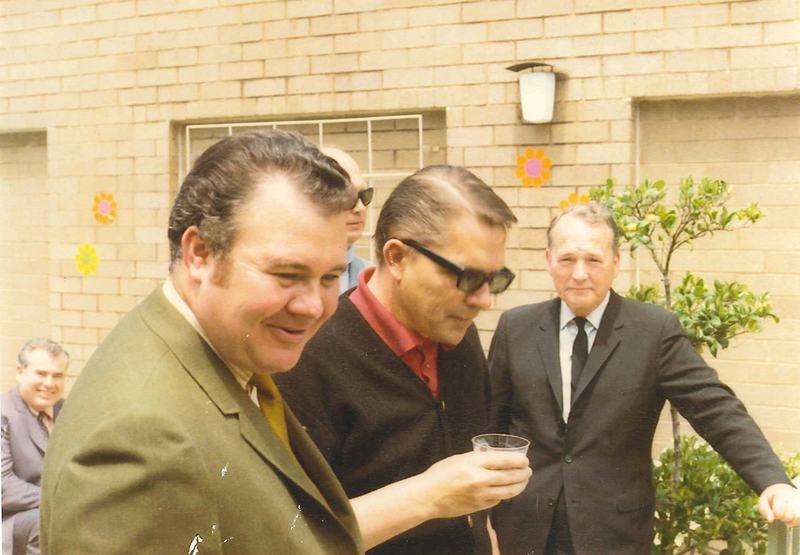 Pictured from right to left: Texas Senator Don Kennard, Warren Burnett and John Henry Faulk. Sitting in the background Malcom McGregor.